The Internet Service Providers Association (ITSPA) is the preeminent industry organisation for IP business telephony providers. Each year they host the prestigious ITSPA awards, in which the best of the best are selected as leaders across a variety of categories. VTSL was chosen as a Finalist for two categories in 2018 - The Best Business Internet Telephony Service Provider & The Best Multi-National Solution Provider. In 2017, VTSL was named the Best VoIP Provider in the UK for medium-sized businesses after rigorous evaluation for the prestigious Internet Telephony Service Providers Awards. VTSL competed against all the major VoIP companies, including corporations such as Ring Central. 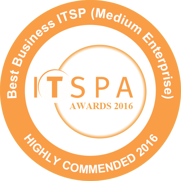 VTSL received the Highly Commended award from ITSPA for the Best Business Internet Service Provider fo medium sized enterprises in 2016. Entrants are evaluated across several categories including innovation and customer service. In 2015, VTSL was honoured to be chosen as a finalist for the Best Business Internet Telephony Service Providers award for small enterprises. To be selected as a finalist, VTSL's service was tested by a 3rd party engineering organisation, and evaluated on performance and case studies. VTSL is ISO 9001 certified by the British Assessment Bureau. ISO 9001 is a quality management standard awarded to organisations who have proven to demonstrate a consistently high level of service. ISO 9001 standards are based on seven quality management principles that senior management can apply for organisational improvement. VTSL had to demonstrate competence in each of these areas as well as show documented quality measurement metrics and operational procedures. VTSL has been certified since 2016. VTSL is a member of Ofcom, Linx and RIPE NCC. Ofcom is the UK government-approved regulatory and competition authority for the broadcasting, telecommunications and postal industries of the United Kingdom. The London Internet Exchange (LINX) has over 800 ASNs connecting from over 75 different countries worldwide, meaning members of The London Internet Exchange (LINX) have access to direct routes from a large number of diverse international peering partners. Using LINX allows a reliable exchange of traffic with increased routing control and improved performance. RIPE NCC is one of five Regional Internet Registries (RIRs) providing Internet resource allocations, registration services and coordination activities. 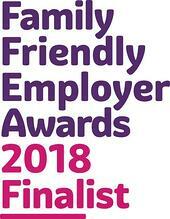 VTSL are proud to be finalists for the Family Friendly Awards hosted by Employers for Childcare. To be chosen, organisations must demonstrate that they embrace family-friendly employment initiatives and actively promote the initiatives to employees. They must also show an innovative and creative approach to the implementation of these initiatives.